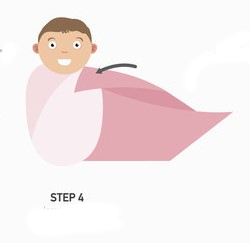 Swaddling a newborn is highly recommended in the early stages! It is known to make the babies feel safer. Remember that baby has just come from a small tight space and brought into this open world. 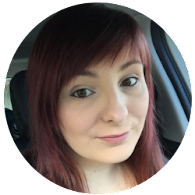 It's quick and simple if you follow these 5 steps! 1. 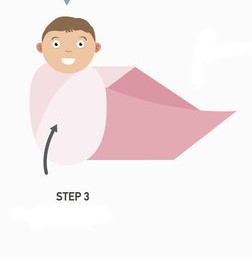 Place the swaddle blanket diagonally under the baby. Remember to fold under the neck. 2. Fold over one of the corners and tuck around baby. 3. 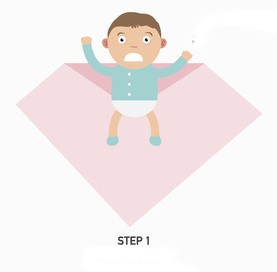 Fold the bottom corner upwards and tuck around baby. 4. 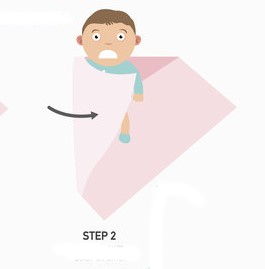 Fold over shoulder of baby as to keep their face clear. 5. Fold and tuck in final corner over baby.